In 1961, five little girls moved into a suburban neighborhood and became inseparable, lifelong friends. They called themselves the âHoney Hill Girls,â named after the street on which they lived. As teenagers they shared one anotherâs ambitions and dreams, secrets and heartaches. Now, more than thirty years later, they remain devoted and loyal, supporting each other through triumphs and sorrows. 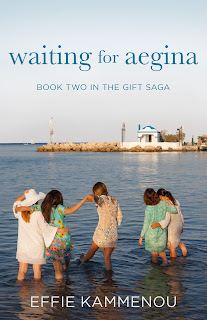 Her debut novel, Evanthiaâs Gift, is a womenâs fiction multigenerational love story and family saga, influenced by her Greek heritage, and the many real life accounts that have been passed down. She continues to pick her fatherâs brain for stories of his familyâs life in Lesvos, Greece, and their journey to America. Her interview with him was published in a nationally circulated magazine. Evanthiaâs Gift: Book One in The Gift Saga was a 2016 award finalist in the Readers Favorite Awards in the Womenâs Fiction category. Waiting for Aegina: Book Two in The Gift Saga is Kammenouâs latest release. 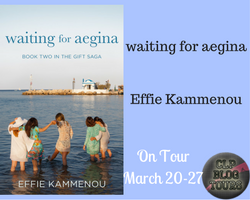 Effie Kammenou is a first generation Greek-American who lives on Long Island with her husband and two daughters. 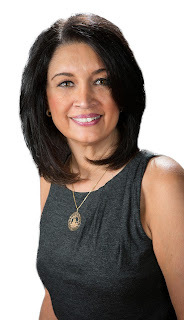 When sheâs not writing, or posting recipes on her food blog, cheffieskitchen.wordpress.com, you can find her cooking for her family and friends. She holds a Bachelorâs Degree in Theater Arts from Hofstra University. So many books, so many choices! I would have to say from the classics I would choose Elizabeth and Darcy. I love that they both had strength of character, integrity and loyalty to friends and family. But they were both flawed, as we all are, and because of that they could have missed out on a great love. In contemporary stories it is most definitely Gabriel and Julia from the Gabriel Series. It's a very layered saga of love, betrayal and redemption with so many lessons and messages for the reader. And naturally, I love the characters I created. Sophia and Dean, First in Evanthia's Gift and now in Waiting for Aegina. How could they not be one of my favorites. They are an extension of me. I feel as though they are my best friends and part of my family. I cried every bitter tear with them as I wrote their story and rejoiced in every glorious moment they shared together. I will be very sorry to say goodbye to them when the third and final book is written.